Despite the fact that Suicide Squad was ultimately considered a letdown by most, it’s hard to lay the fault entirely on David Ayer’s doorstep. The film was the victim of a substantial amount of studio meddling and though the direction wasn’t perfect, Ayer was far from the biggest problem with Task Force X’s first outing on the big screen. As such, we’re definitely excited to see what he’s cooked up with the upcoming spinoff, Gotham City Sirens. Aside from the fact that it’ll reunite him with Margot Robbie, who will be back to play Harley Quinn, we really know very little about the project so far. Catwoman and Poison Ivy are both rumored and expected to show up, but that hasn’t been confirmed yet by the studio and there’s been no indication as to which direction the plot will head in, or which story arcs from the comics will act as inspiration. That hasn’t exactly changed today, unfortunately, but another round of DCEU leaks have surfaced on Reddit, as they tend to do, and they provide some juicy information on Ayer’s upcoming spinoff. As always, we advise taking all of this with the requisite grain of salt, since there’s been no confirmation on anything listed in the leak, but none of it sounds too far-fetched and for now, you can certainly color us intrigued by what’s being reported here. 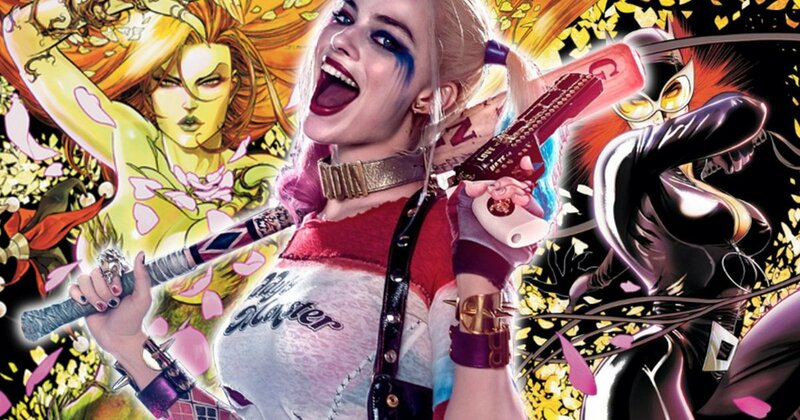 For starters, it’s rumored that Gotham City Sirens is the studio’s first choice for their second DC film in 2018. Currently, only Aquaman is set to release that year, and they’ve yet to name anything else. The Batman was supposed to arrive then as well, but now that that’s been pushed back, something else needs to take its place and apparently, this project might be it. Especially if filming gets underway this summer, which is said to be the plan. In terms of casting, the leak says that the roles of Catwoman and Poison Ivy are still open and don’t mention which actresses are being eyed. They do, however, note that Joel Edgerton is the top choice for Black Mask. Though we haven’t even received confirmation that the character is in the film yet, it’s looking more and more likely that he is. Not only did David Ayer tease the villain a few months back, but several reports have surfaced recently that say Matt Reeves wants him in The Batman. If that’s true, then it’d make perfect sense for him to appear here, too. 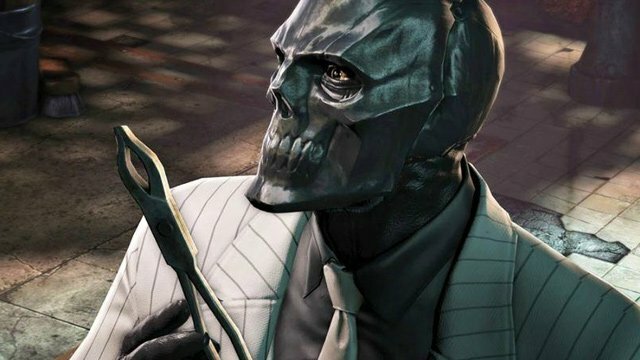 For those unfamiliar with the character, Black Mask, real name Roman Sionis, is a “brutally sadistic kingpin in Gotham City’s criminal underworld who has a fixation with masks.” We haven’t seen him live-action just yet, but he has shown up in various animated projects as well as the Batman: Arkham video games. He’s definitely due for a big screen appearance, given that he’s a fan favorite, and we’d be thrilled to see him introduced into the DCEU next year. Especially if an actor like Joel Edgerton will be bringing him to life. Again, none of this has been confirmed just yet and until it is, all we can do is speculate. However, if Gotham City Sirens really is gearing up to shoot this summer, you can expect more updates to begin rolling in shortly.